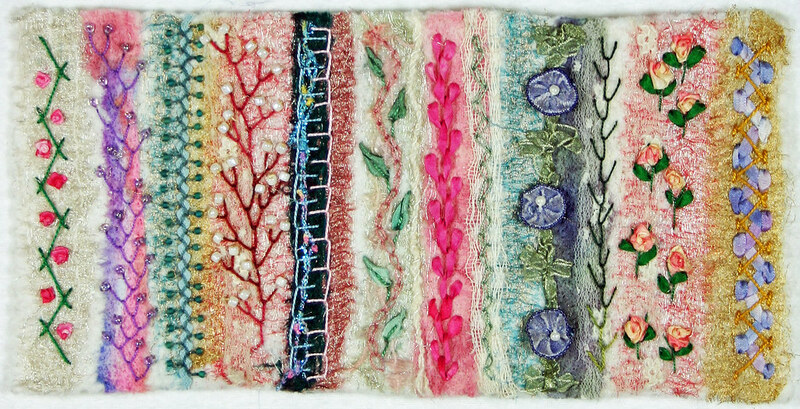 This Twilt, “Five After Six” features Machine Felting with silk Ribbon Embroidery. 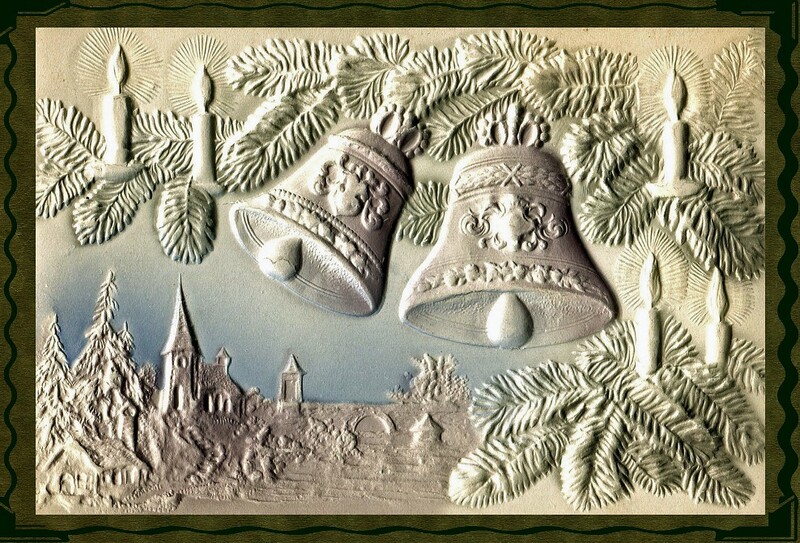 I love the ethereal quality of the felted background. A digital collage was scanned and printed on cotton and then felted onto flannel. Pink and Green dyed silk organza was felted around the picture. Background embroidery and beads on the felted piece became the background for Spider Web Rose and French Knot Rose clusters of Silk Ribbon Embroidery. Dyed rayon pieces and verigated organza ribbon and embroidery were added on the sides. 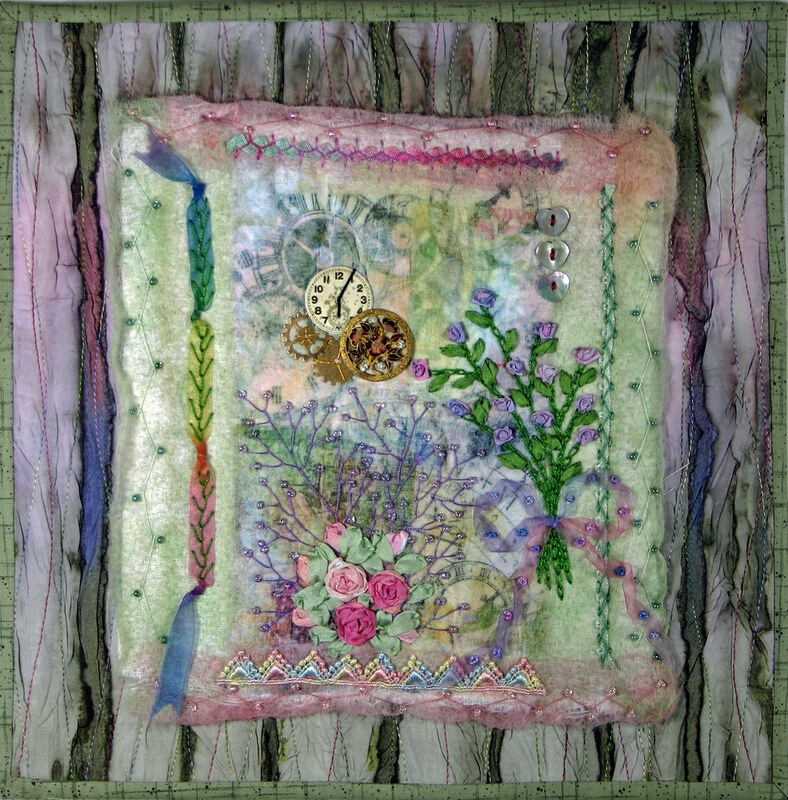 The felted piece was then stitched with beads and embroidery to a quilted crinkled batik background. As a final touch I added the heart buttons. 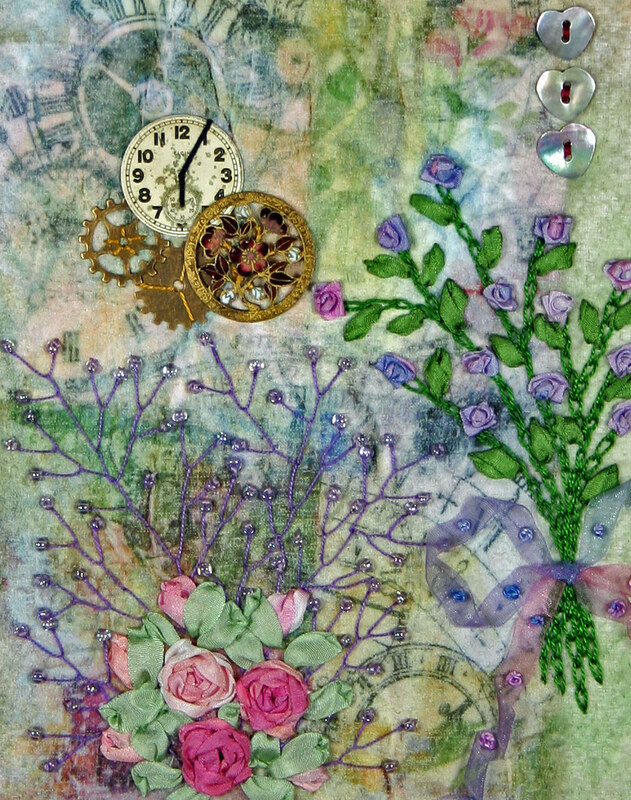 An old clock face, two gears and a vintage button cluster compliment the clocks in the fabric print of the digital collage. I really am enjoying my Felting Machine. I have been experimenting with machine felting and this is my first piece. I felted dyed silk strips, metallic silk, netting and wool roving onto a white felted wool base. Embroidery, silk ribbon and trim were added. This piece is only 9″ x 4 1/2″. The machine I am using for the felting is the Simplicity with 12 needles. It’s alot of fun.